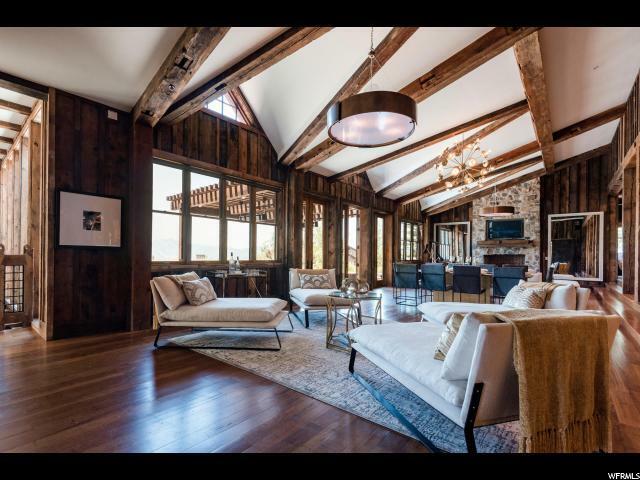 Showcasing interior and exterior timbers, originating from a 120 year old Oklahoma barn, this six bed, six bath, 10,007 square foot home has been masterfully crafted with the highest quality finishes. 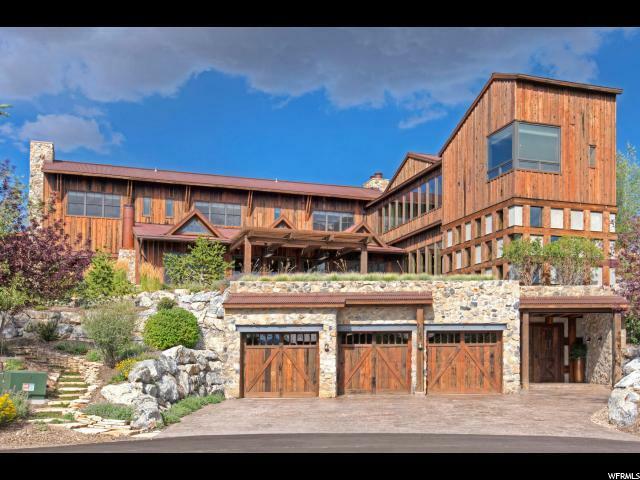 There is not a better value for a fantastic home in Promontory! The functional floor plan is perfect for multi-generational families to those looking for a wonderful entertaining home. 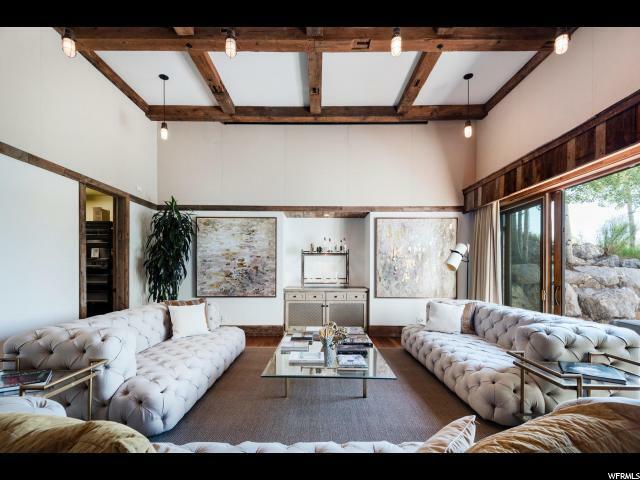 The main level living includes a gourmet kitchen with dining spaces, game, movie, and sitting rooms with French doors opening to a surrounding patio with beautiful mountain and ski resort views. There are great outdoor living spaces. 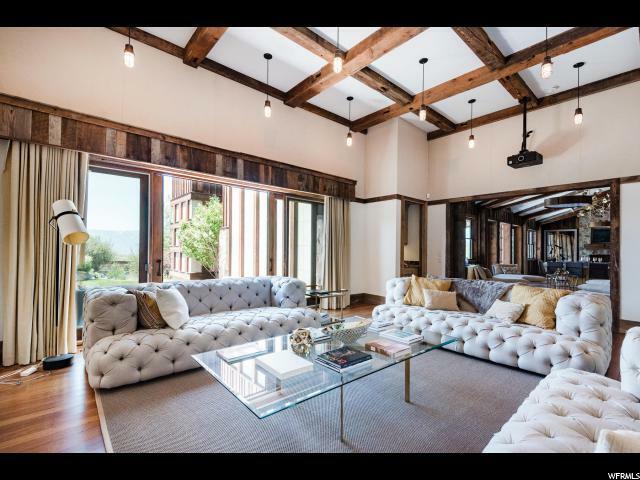 The home includes five fireplaces, an elevator, theater with rolling barn wood doors, multiple outdoor terraces, hot tub and fire pit. All areas are highlighted by luxurious stonework, granite and glass tile work throughout. The home looks out over the 12th hole of the Pete Dye Canyon Golf Course. Clive Bridgwater Design.